office in the state for 10 years. A white paper stipulating the ban was released Monday. ThebCommissioner for Information, Lanre Ogunsuyi, while addressing journalists after the State executive council meeting on Monday, where the white paper was officially approved, said Messrs. Fayemi and Kolawole exhibited disrespect for a constituted authority, in spite of their “undignified” roles in administering the state during their tenure. “They are banned from holding public office in Ekiti and any part of Nigeria,” he declared. “Government views accountability and probity as hallmark of good governance. Therefore, the government decided to set up the Judicial Panel of Inquiry in line with its law enacted in 2012. “The government viewed seriously the report and it intend to carry out all the recommendations in the report,” he said. Other aspects of the white paper as read out by Mr. Ogunsuyi include urging Messrs. Fayemi and Kolawole to refund N2.7 billion they allegedly allocated for the execution of the contract for ultra-modern market, which was never executed. The government further directed the Ministry of Justice to institute appropriate legal actions to effect the refund and follow up on necessary legal processes. 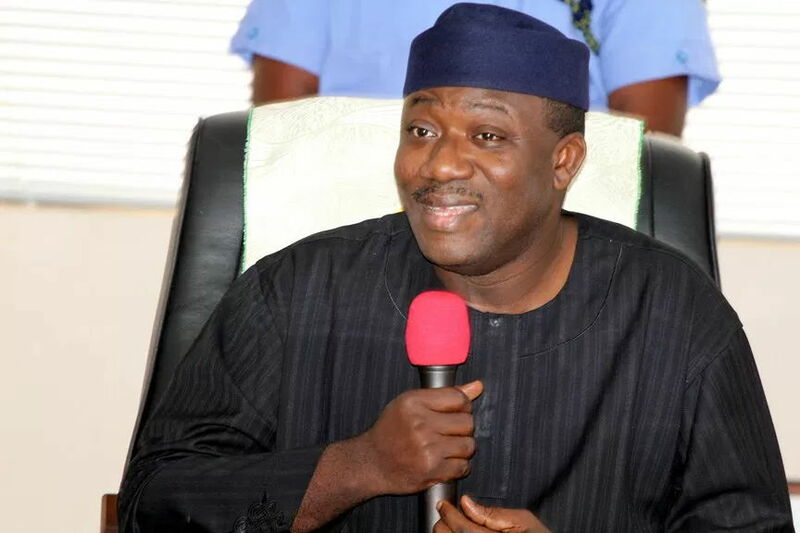 “His Excellency, Dr Kayode Fayemi and the Commissioner for Finance, Mr. Dapo Kolawole should be made to account for the difference of N340 million from the N1.5 billion earmarked from the bond proceeds for the upgrade of infrastructure at ikogosi warm spring which could not be accounted for,” the report stated. Mr. Fayose, while responding to the recommendations of the white paper, justified the adoption of the recommendations of the report. “We are doing what is right within the ambit of the law by appointing competent people for the assignment. We must be seen to be doing the right thing and it is not wrong to ask how the finances of the state have been appropriated within a given time and we are following due process,” he said. “The APC government could probe this and that, even if you say they are biased, what can anyone do? I am not part of the panel that sat for the inquiry, they submitted the report to me and I presented it to appropriate organ and I will do the same with this document. This is not personal in anyway, we are only doing the right thing and following due process. “In this particular case, the entire process is discredited right from the beginning, as the only agenda of the panel was to rubbish Dr. Kayode Fayemi’s public service record. “One is therefore not surprised at the recommendations of the White Paper: It only goes to confirm our initial position that the panel was compromised right from inception and targeted against Dr. Fayemi. “In his desperation, Governor Fayose chose the crude and ignoble path towards hitting a perceived political foe. “In the process, they ignored the rule of law and behaved as if the court does not matter. Thus making their actions subjudice to the court. Mr. Fayemi urged his supporters, the people of Ekiti State and the general public not to be disturbed by the development, adding that it was another act of illegality, from an administration that had “elevated political debauchery to state craft”.